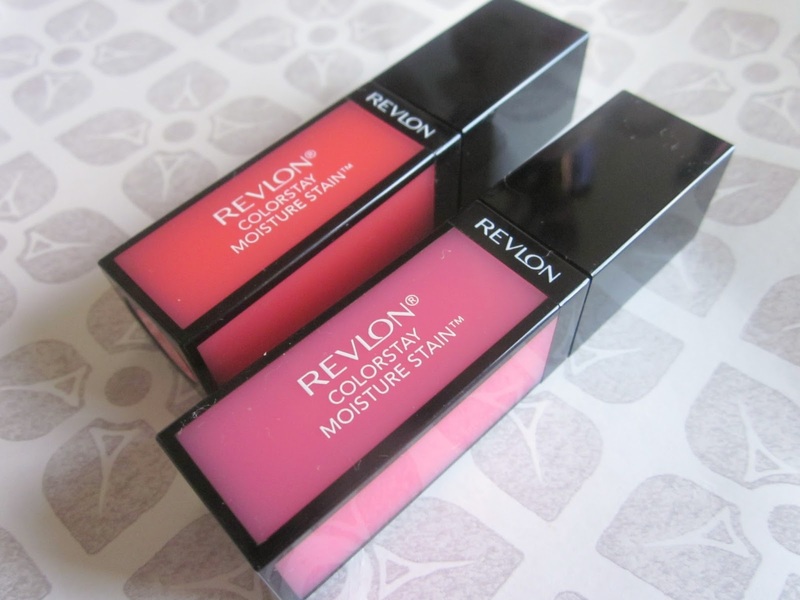 When it comes to lip products, Revlon seem to be nailing it these days, and in my book they can do no wrong. The latest addition to the Colorstay (I really, really don't like the missing 'u' in colour!) collection are the new Moisture Stains, liquid lip colours with a glossy finish and a balmy, non-sticky consistency. 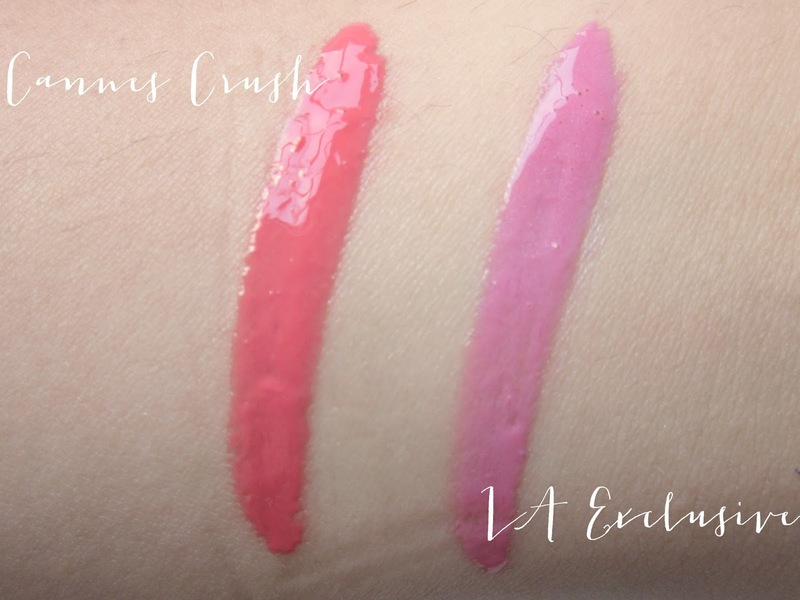 I absolutely loved the look of the packaging, which is sleek and handily shows the colour of the product inside, and just had to pick a couple of these up on Saturday, in the shades LA Exclusive and Cannes Crush. 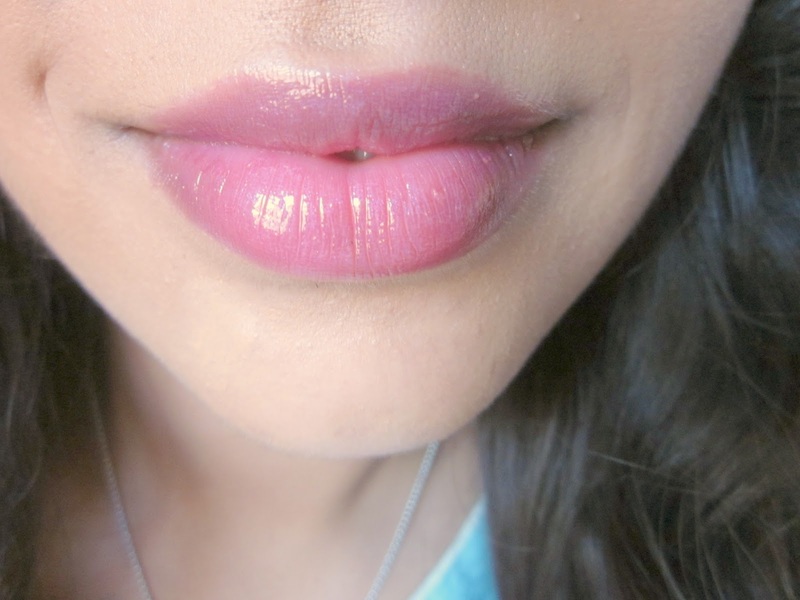 They didn't disappoint, and are so hydrating and comfortable to wear - I would say even nicer than the YSL Glossy Stains. The pigmentation isn't super strong, but very much buildable, and the glossy finish is so pretty. 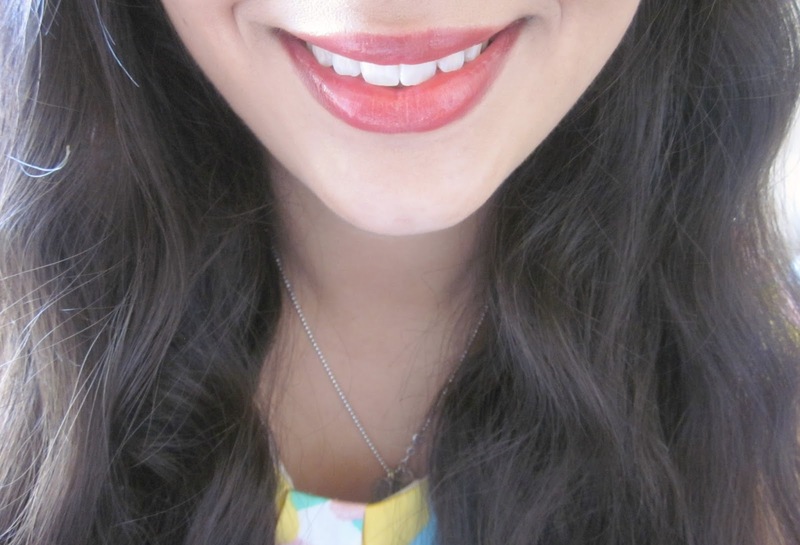 I love that the colour fades evenly after a few hours wear, leaving my lips feeling really soft. Fleur de Force suggested in her review that the product can apply looking gloopy, and the best thing to do is use the wide doe foot to really work the product into the lips for an even coat of colour, then add a second coat. I would agree that LA Exclusive particularly needed to be applied in this way, so don't be alarmed if they don't look perfect in one swipe. LA Exclusive is a cool-toned, slightly lilac-ish pink, which contains very fine shimmer (it's barely noticeable unless you look very closely). Cannes Crush is a shimmer-free coral pink, and is more pigmented. I am so glad I bought these, and they have become instant favourites. The consistency is so lovely to wear, and unlike anything else I own. They are exactly what I wanted Benefit to make when they turned their tints into lip products. Have you tried any of the Moisture Stains? Or will you be picking one up? Oh my golly!! Cannes Crush looks absolutely beautiful. I want it!! Nope, correction, I need it!! Looks gorgeous on you! I've never tried the Moisture Stains, but I want to! 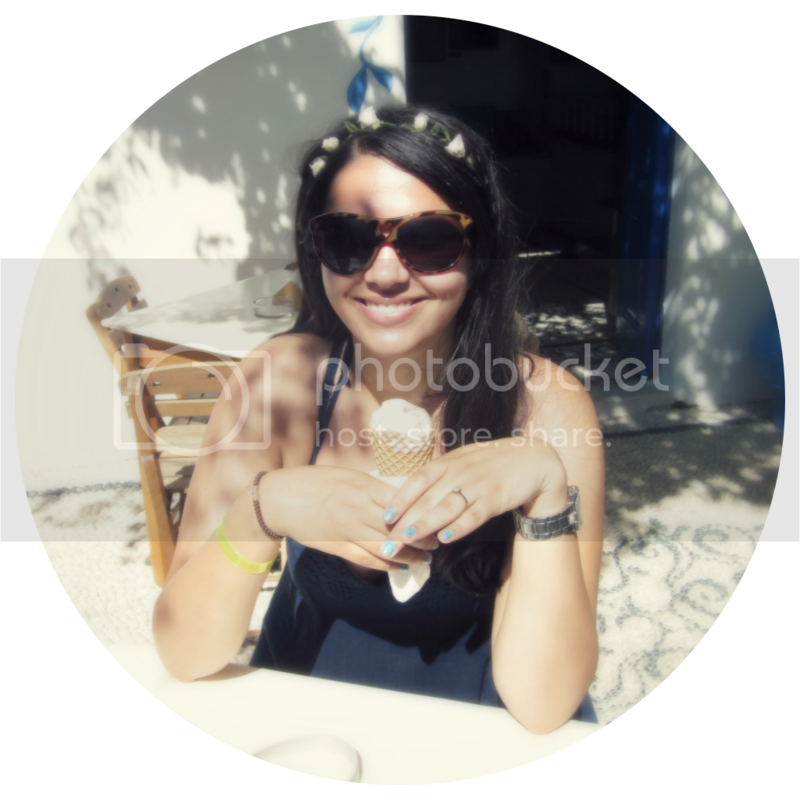 Both shades look beautiful on you :) Definitely getting la exclusive! The formula of both sounds really nice and exactly like what I am looking for in any kind of lipgloss/stain. Also Cannes Crush just looks absolutely gorgeous on you.